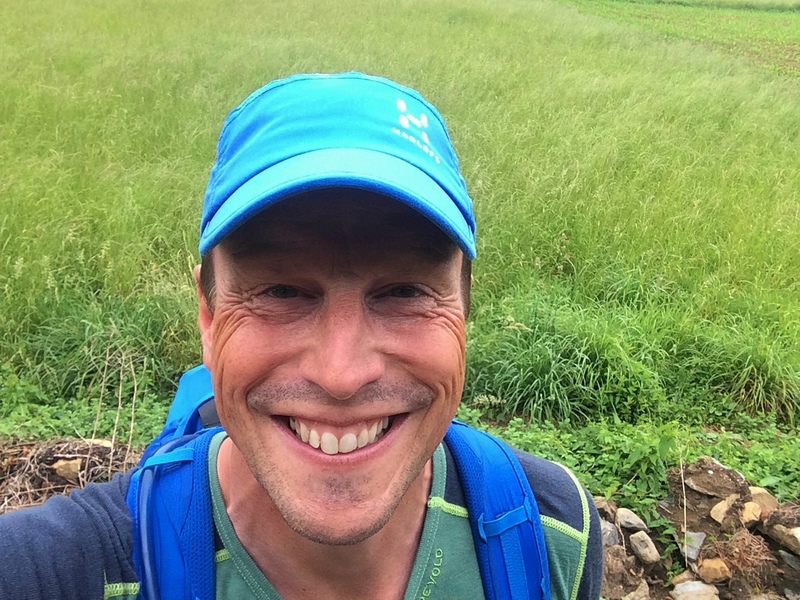 Trail running 300km with 8 000 height meters in a foreign country in 10 days. How does one prepare for a challenge like this? The short answer is of course research, plan ahead, prepare and practice. By thinking through the adventure as a whole it is possible to list what could happen and what is required. This is a process where time, good advisers and patience is required. I have identified essential things, which I cannot do without (backpack, shoes, first aid kit, clothing, communication tools etc). Then I listed the non-essential things in a prioritized list in order to decide what I could bring along depending on the final setup of the adventure. I have tried out different components of the equipment in order to decide which one would suit me best for this challenge. It has been everything from clothes, cameras, chargers etc. Then once I have decided I familiarized myself with each single thing. The purpose was to be able to use the gear I bring with me without guessing how to use it when it is needed. I have updated my skills in first aid and I strongly recommend everyone to do the same. An unopened first aid kit is not as good as one where the things inside have been used and replaced with new ones and knowledge on how to use it properly. Since the adventure will take me through remote parts I have decided to use a satellite tracker, Spot Gen 3 fastened in the mesh pocket on the lid of my backpack. It is now a good friend and I am comfortable with how to use it to let my family know that I am ok as well as to send out for emergency assistance. In essence, it all comes down to practice, practice and then practice. It is as true as it is said, repetition is the mother of all knowledge. Two weeks ago on Midsummer’s day, I flew to Spain to continue to trek along the Northern Route (in Spanish: Camino del Norte). I have been doing this with my girlfriend Sabrina about one week every Summer for the last three years. It is one of those things we look forward to and enjoy doing. 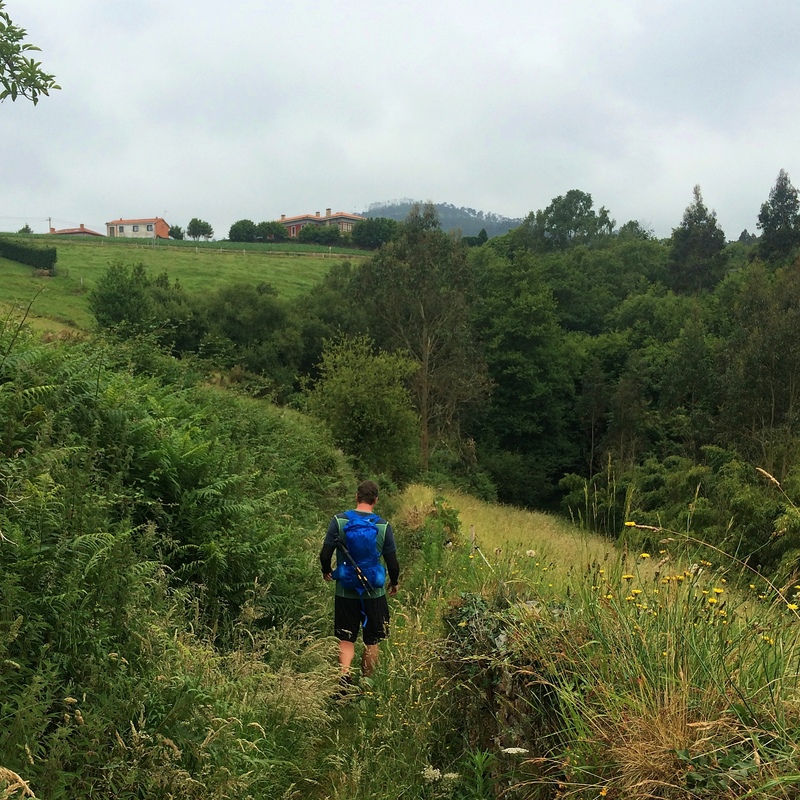 This year we went back to where we ended last Summer in Villaviciosa in Asturias to trek through the region to the border of Galicia. For me this was the perfect opportunity to try out the equipment and clothes for my adventure, Crossing Borders, on site under similar conditions. 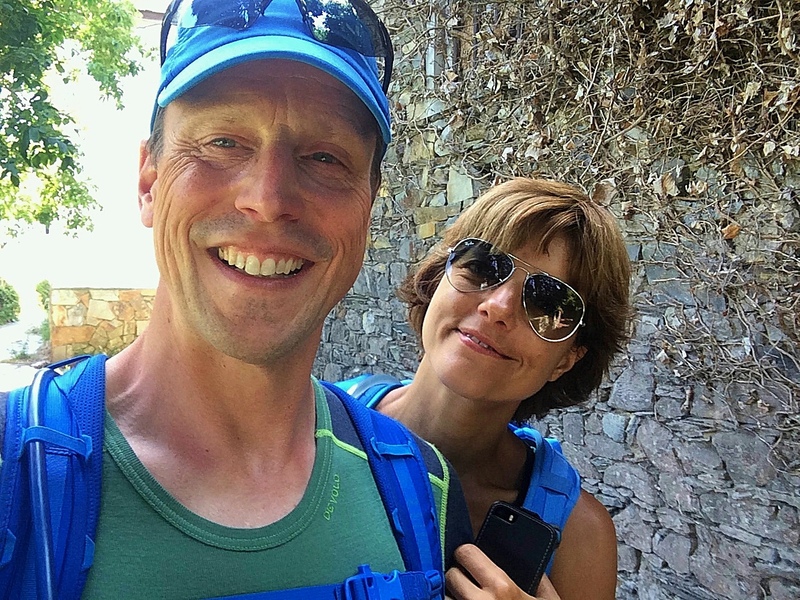 As it turned out this was a valuable trial and after 6 days and 160km of mainly trekking, I came home with notes and feed back on what I needed to take into consideration. So what did I learn? After a few days I noticed that the socks I had chosen left a gap between my skin and the back of the shoe, which then hit the back of my ankle. After this going on for a few days it caused a burn, which in turn could become a blister. I managed this by cleaning and then taping the skin. I kept it under close watch and made it home with no blisters. These socks are now replaced with another model and are staying home. This could have been a real problem during the expedition. 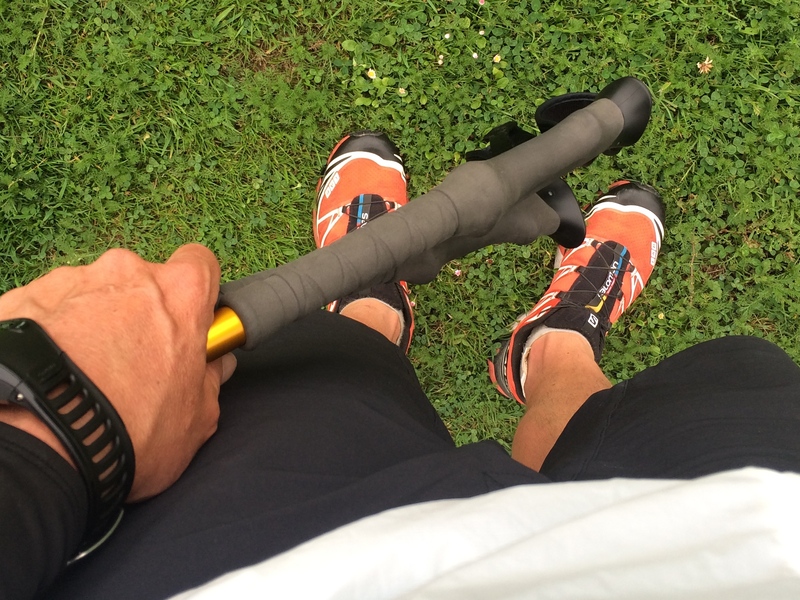 The shoes I have chosen, sponsored by Salomon, S-LAB XT 6, worked great on trails, gravel and in terrain. However, not so much on asphalt. After long distances where the path merged with regular roads my feet were feeling tired and tender. Knowing the effect from this trip and given the terrain for my adventure I will keep the shoes and now know what do to depending on the surface. The poles from Exped are so far the best ones I have found. Light, durable and easy to use. 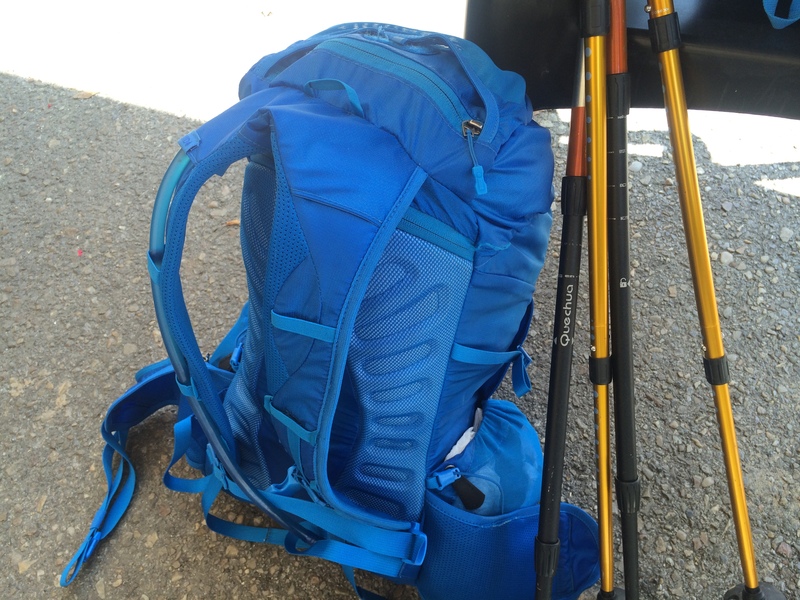 My backpack is a Gram 25 from Haglöfs and it is light and comfortable to wear while trekking and running. Good pockets and easy to fit. I will keep this one! Total weight carried was 5.5kg plus 1,5 liters of water. I would like to lower the weight of my pack with 1kg. I have reviewed the items and their purposes and have updated the list in order to lower the total weight of the equipment. Feels somewhat like chasing a white whale, but with some common sense I am sure I can improve the quality/weight ratio. The hunt for lighter yet durable things is on! By selecting another headlight with the same batteries as the satellite tracker and a pocket knife instead of the multi tool, I lowered the weight with 300g! So there are things to do here. More news later when the list of items is decided. 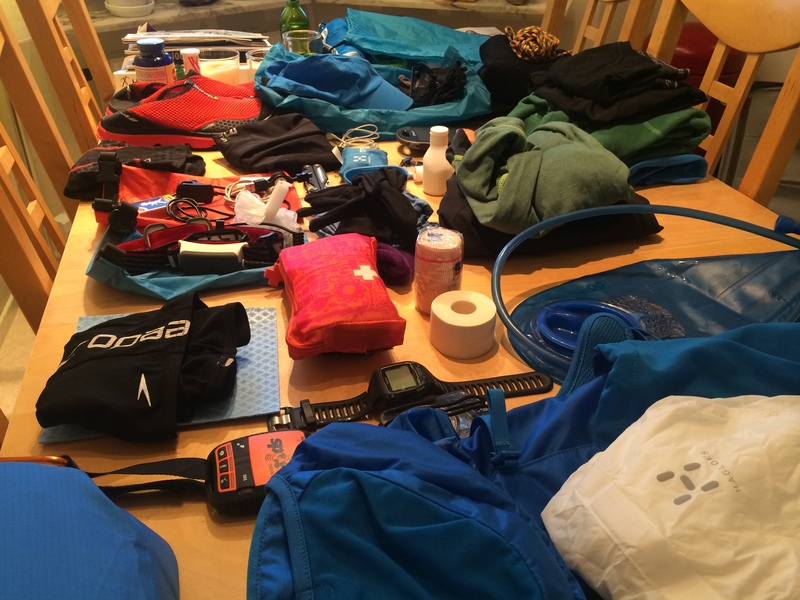 I am putting the last pieces together, checking the gear and deciding on the tactics for how to complete the adventure in the allocated time frame. Sabrina will be my local emergency contact in Madrid. She will be continuously updated on my location and status. I will leave some extra funds and identification papers with her in case mine are lost. She will also join me for some parts to cheer me on. Keeping spirits high is important during a challenge like this one. I will have a packed bag near the route with spare shoes and gear, which can be sent out to my location in case something is broken or lost. Preparation is key to reach the target with a big smile as my instructor Ola Skinnarmo from the Haglöfs Adventure Academy taught us. ← Thank you! Keep spreading the news! Så intressant att få följa dig på denna utmaning och detta äventyr! All denna planering kan visa sig vara helt avgörande för hur resan fortskrider om olyckan skulle vara framme. Känns som om du har full koll på läget!